Scientists struggling with a modern-day global epidemic have not found proof that air pollution causes asthma. Bronx community activist Eva Sanjurjo begs to differ. On a peninsula bordered to the north by the Bruckner Expressway, to the south by a sewage plant, and surrounded by more than two dozen waste-transfer stations, Sanjurjo’s neighborhood was a hub for nearly all of New York City’s produce, almost all of its sewage sludge, more than half of its decomposable garbage and as many as two million truck trips a year. In the early 70’s, Sanjurjo opened Eva’s Kids, a home-based daycare center where children continue to be nurtured at an affordable price, enabling their parents to go to work. As a trusted second mother to hundreds of their children, she was perfectly positioned to lead her poor and working-class neighbors to protest the toxic effects of their abandonment to under-regulated industrial invaders. 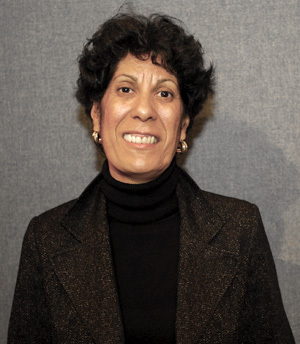 Sanjurjo was a founding member of the Hunts Point Awareness Committee, a group of committed local residents who, together with grassroots activists from Mothers on the Move and The Point CDC, gave birth to the environmental justice movement in the South Bronx, one of the lowest income Congressional districts in the country. Long and hard fought battles slowly began to began to yield results: a green median strip was built to slow truck traffic through a safe school zone; the New York Organic Fertilizer Company was forced to make a $2-million upgrade to its foul-smelling plant. Instrumental in securing funds for a city health department investigation of respiratory health problems, Sanjurjo helped to conduct a study that revealed asthma rates of Hunts Point’s children were among the highest in the United States and hospitalization rates three times the national average. In the mid-90’s, Hunts Point Awareness Committee became part of a citywide waterfront neighborhood coalition that won a moratorium on the siting of new waste transfer stations and Sanjurjo and her allies defeated a rail company proposal to truck in an additional 5,000 tons of garbage a day. On guard against new threats to health and safety, Sanjurjo began to shift her focus to creating environmental alternatives. When a 1998 student research project revealed that the amount of land shaded by trees in Hunts Point’s was 3.5%, compared to the citywide average canopy coverage of 18%, Sanjujo found her next cause, Greening for Breathing. Her plans dovetail nicely with a new MacArthur award-winning master plan for a Sustainable South Bronx, which envisions landscaped boulevards, paths leading to riverside parks and a brownfield transformed into an industrial park where clean recycling companies will generate “green-collar” jobs. The Department of Correction, however, recently filed plans to build a 2,000-bed jail on that very site. Stopping that plan sounds like a job for Eva Sanjurjo.